What do you do when you have a site that has become so popular that there is a demand for even more content? When that content is mystery and crime fiction, you launch a whole new website dedicated to that topic. Which is exactly what Literary Hub, one of the largest literary and book sites on the Internet, did with CrimeReads. 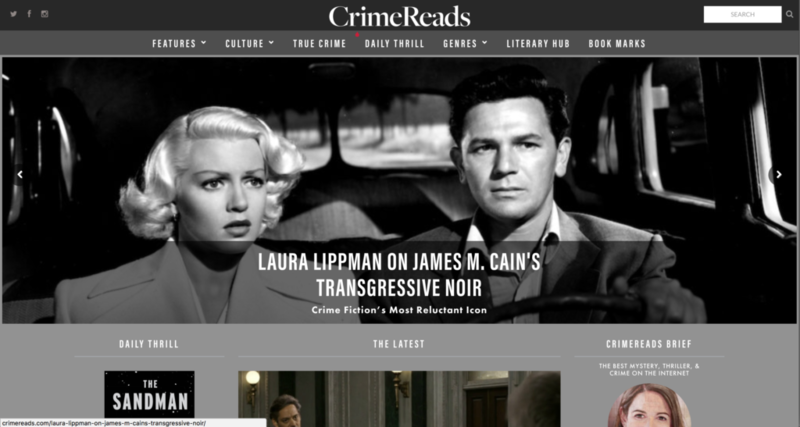 CrimeReads is intended to become the largest hub for mystery and crime fiction on the Internet, in much the same way as Lithub has become for general book and literary news and features. If you recognize a few names on that list, it’s because they are some of the biggest crime and mystery writers currently in the field. And if you’ve read some of these author’s work, you wouldn’t be alone, so have the partners at 42 Solutions. Which is why we’re please to say that we were the technology partner responsible for helping Lithub launch CrimeReads. Lithub was already one of the most popular literary sites on the Internet, attracting thousands of repeat readers a day and expanding with the addition of Book Marks, the “Rotten Tomatoes” of books as a sub-site. But, now, Lithub wanted to branch out. Rather than be one site, Lithub wanted to be three, moving all of it’s Book Marks content to a new stand-alone domain bookmarks.reviews while expanding its category of CrimeReads into its own co-equal site. Book Marks comprised of thousands of books and tens of thousands of book reviews. CrimeReads was modest in its content being in the hundreds of posts. How could one site become three, independent and standalone? 42 Solutions took advantage of a feature not often used by many sites: WordPress Multisite. WordPress Multisite is a feature that allows multiple sites to be created all on a single install of WordPress. Only one database is required and they can all share a set of plugins for common features. Starting from Multisite as our base, we started our process of dividing Lithub into three separate sites, each with their own challenges. Lithub is a fairly standard content site and its theme, while originally from a 3rd party, has been modified over several years to become more specific to it’s function. Namely, the ability to modify it via admin tools has removed in favor of more performant code that would just render what was required. It’s all well and good to break Book Marks out into its own site but what about being able to post content across sites, that’s what this widget was for. This came with obvious trade offs. The first of which was that the theme became less extensible via the tools. Options that had been in the administration toolset became non-effective as those options became hardcoded in the actual theme files themselves. While admins could no longer select from a myriad of options previously available, they now had a limited set to choose from. But this had its benefits as well. Unused options were discarded, as were their database or cache hits to decide whether to display them. And, from an administration side, choices were simplified, removing the chance for errors. This both improved the quality of the content as it was always displayed properly and reduced the amount of load on the server as the site became ever more popular. But Book Marks was a sub-site of Lithub, separate in content and in design. The Book Marks content was a custom post type of WordPress with special relationships and set up as a sub-site using several hacks of the way WordPress worked. So the number one question became, how to break Book Marks into its own site? Because of the way 42 Solutions built Book Marks initially, there was almost a one-to-one relationship between the way templates were designed to work and the way we built built Book Marks to begin with. It was almost a parallel theme residing within the Lithub theme and taking advantage of manipulating the internals of WordPress to make it work. Thus, when breaking Book Marks out into its own theme, part of it was just renaming essential files into their WordPress equivalents and part was bringing those files into compliance. In the end, breaking Book Marks into its own theme was only several days worth of work. But bringing the Look & Feel over was only the beginning. The majority of the task was transferring the data. Book Marks, between the books, the reviews, and the image attachments comprised tens of thousands of records in the database. Additionally, each image and its processed thumbnails had to be moved over to the new Multisite install. To do this, 42 Solutions wrote custom migration scripts that would recursively search selected categories and move content over to the new Book Marks site while simply “trashing” the content on Lithub to be non-destructive in case something was mistakenly moved. And, to add to this non-destructive philosophy, images that had been uploaded to the original install would remain but would be copied over to the new site. One wouldn’t think a site dedicated to books might necessarily be heavy on images. But, before the split, Lithub images took up almost 25gb. After the split it was almost 29gb. The difference of which needed to be copied in a clean way over to the new sub-sites so that, before they launched, the editors had a minimum of content to fix. Our data migration scripts captured 99% of the properly tagged and categorized content, saving the Lithub editors hours re-entering content and re-uploading and processing photos. 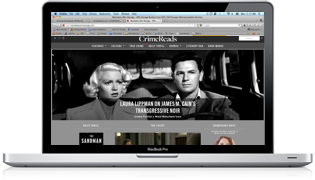 Alongside Book Marks, we also created a new branch of the theme being used by Lithub, specifically for CrimeReads. For the most part, this was cosmetic, changing styles to match the new designs but there was also a fair amount of template work as well, for when the output of the HTML couldn’t just be massaged into place by the CSS. It became different enough that a mere child theme could no longer suffice and the CrimeReads theme became a complete and independent theme all by itself. All three sites were tested in parallel, with multiple data transfer tests taking place to prove conformance before the actual go-live date of March 6, 2018. Adding Lithub content to a CrimeReads sidebar. Beyond just breaking lithub.com into three sites, it was of utmost importance that the three sites be able to show content from each one as cross posts. But without the necessity of copying and pasting content into each site’s content management tools. 42 Solutions automated this process by creating certain “keyword” categories that would publish across sites and three custom widgets that would display the latest content from Lithub.com, Bookmarks.reviews, and CrimeReads.com that would carry the branding of each site across all of the others by merely dropping in the widget. These widgets would allow the editors at Literary Hub to share content across their three verticals without needing to copy data across their site specific content management platforms. And it could seamless integrate onto any page they might want it displayed without any extra work on their part (a major advantage of requirements gathering beforehand, knowing what can be automated). When you have one of the best written and best read sites on the Internet, it’s easy to sit back and just watch your readers roll in. But Literary Hub and the fantastic editors at both Book Marks and CrimeReads are far more proactive than that, which is why they found expanding their verticals into independent sites not only important but necessary. And, while there was feature freeze on Lithub.com for the duration of the project (about 45 days), the pain proved worth it. Not only was Literary Hub migrated onto a Multisite installation but the potential for adding new verticals to their platform is now limitless, constrained only by how many design changes they might need to an existing theme or the uniqueness of an entirely new one. Despite what you may have read, the future of books is looking bright, especially with sites like Literary Hub, Book Marks, and the newest, CrimeReads, leading the die hard and nouveau readers alike on their easiest path toward discovering new material. And 42 Solutions is proud to be a part of it.